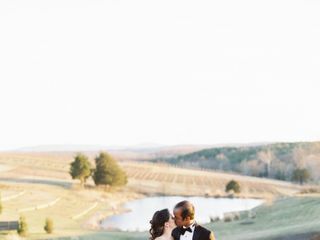 Stone Tower Winery is a captivating, vineyard-style wedding venue located just outside of Washington, D.C in Leesburg, Virginia. 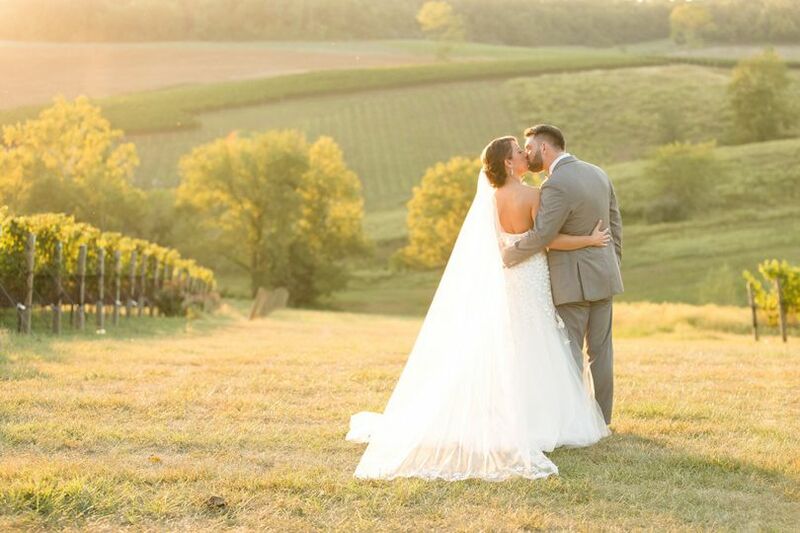 Nestled on 206 acres of rolling hills, this premiere wedding venue features breathtaking views of the Bull Run Mountains. Filled with rustic charm and sophisticated elegance, Stone Tower Winery is the perfect country escape just outside of the city. 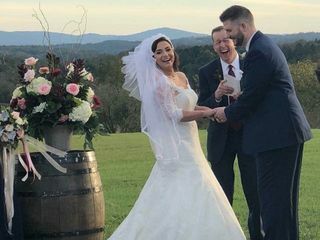 With a maximum capacity for up to 230 guests, Stone Tower Winery is the perfect setting for wedding celebrations big and small. 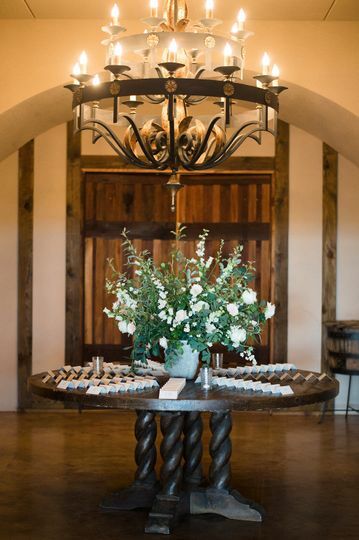 The venue features two main event spaces, including a classy ballroom and a rustic barn. 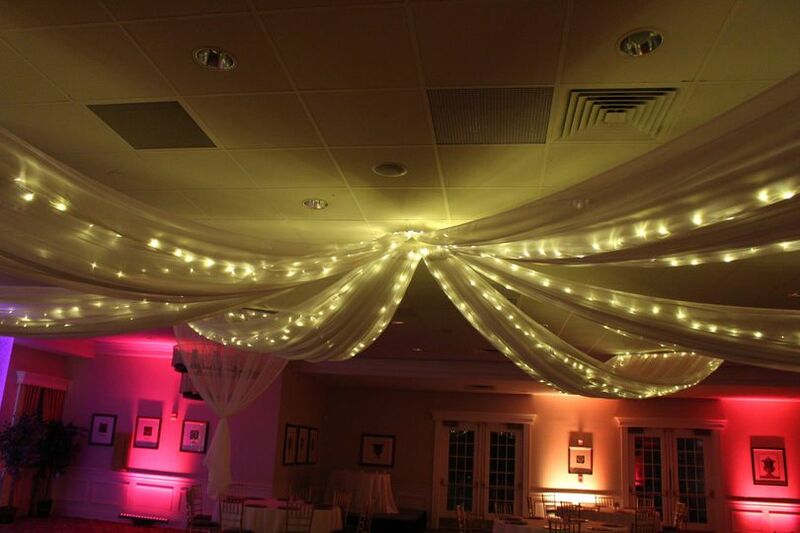 The Vineyard View Ballroom has stunning stone accents, and is decorated with modern chandeliers strung above. The large wall of windows looks out onto the sweeping views of the vineyard for an absolutely breathtaking backdrop. The Harvest Barn sports a cozy rustic charm in its bi-level space. 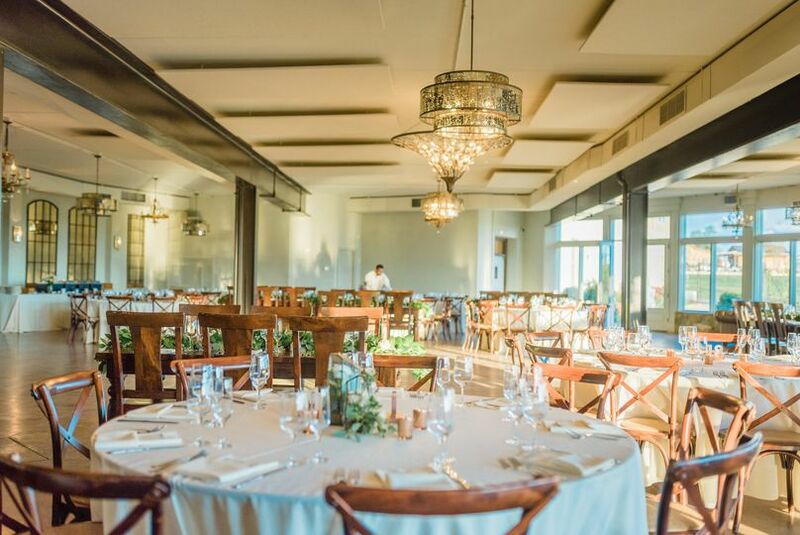 The downstairs is the perfect setting for cocktail receptions, while the upstairs can accommodate up to 175 people for a full-service seated dinner. Stone Tower Winery does not offer in-house catering services. However, their team is happy to provide you with a list of professional caterers known for providing the very best wedding day services. 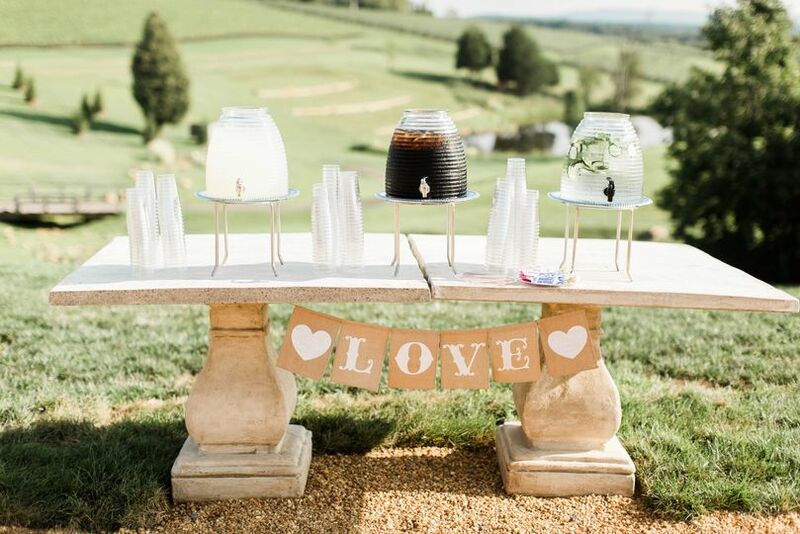 If you don't see what you're looking for on their preferred list, you can choose a caterer of your choice as long as they are licensed, insured, and provide strong references. 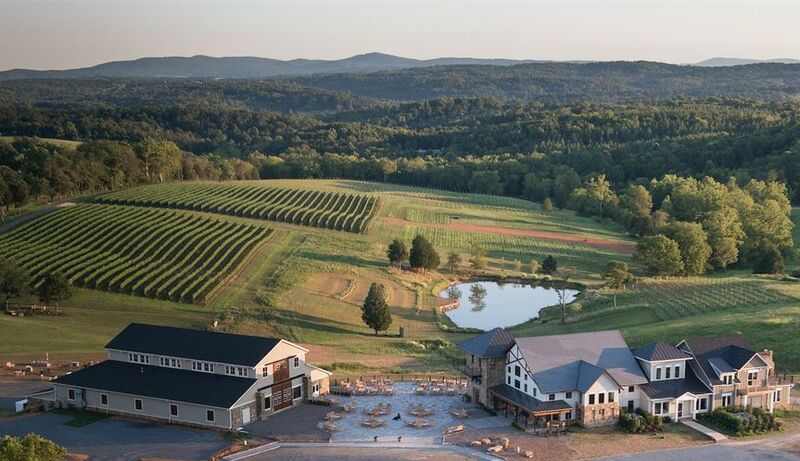 Located in downtown Leesburg, Stone Tower Winery is just minutes from several hotel options. 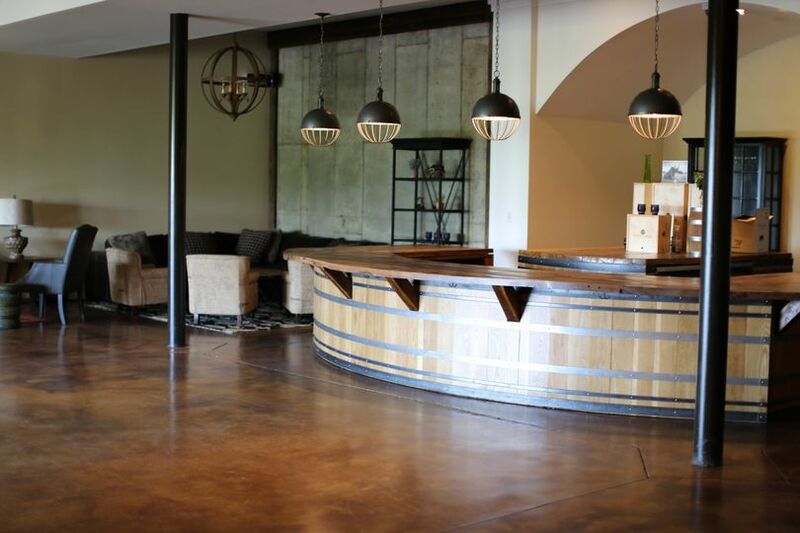 To get referrals to some of the best accommodations nearby, inquire about Stone Tower Winery. My fiancé and I fell in love with Stone Tower the moment we walked into the Tasting Room! The staff are extremely pleasant and helpful, not to mention the wine is awesome. 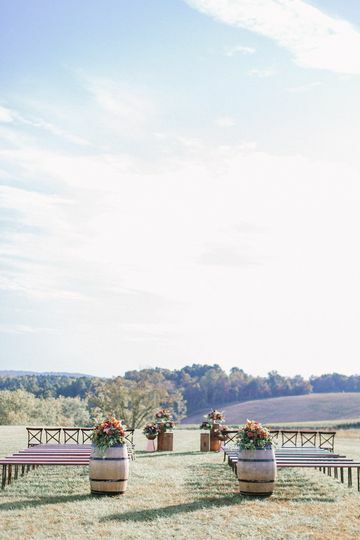 This is one of the most beautiful vineyard venues you will ever see. We are having our ceremony in the Tank room which is so unique!! Margot has been so accommodating and great to work with so far. Can't wait for our guests to experience our wedding at this amazing venue!! Stone Tower Winery was the perfect venue for our recent wedding. Throughout the entire process the event team was professional and responsive. The winery is beautiful, but the event venue is even more breathtaking. On the day of our wedding I was so happy with how everything turned out. 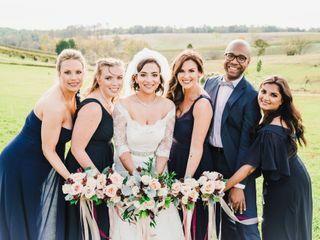 Our bridal party was able to relax in a beautiful farmhouse. My ceremony took place in a unique tank room. The cocktail hour was just steps away, but provided guests with a gorgeous indoor/outdoor venue. Finally, the reception was gorgeous. 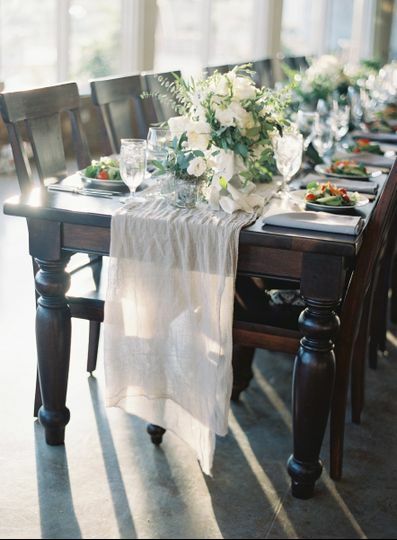 On top of everything, the furniture throughout the venue was beautiful and perk that you do not receive at any venues. Everything was amazing and I would 100% select this venue again. 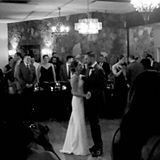 I would highly recommend Jillian and Casey, who we worked with closely. 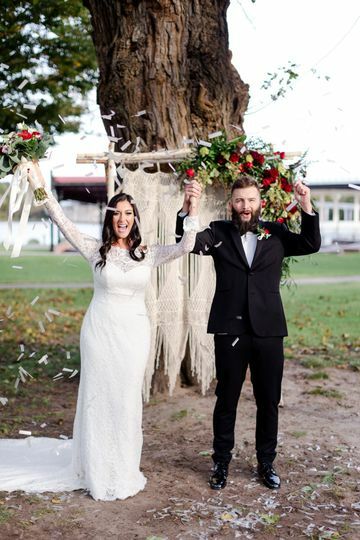 They were responsive and ensured that our day turned out exactly as we wanted it to! 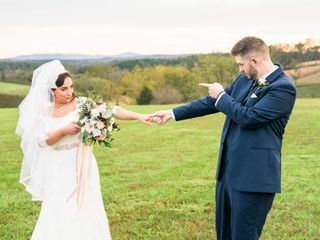 My husband and I are so glad we chose Stone Tower for our wedding! 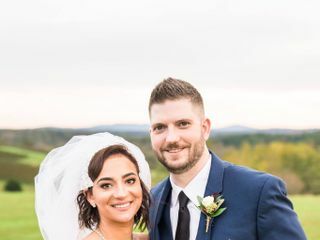 We love both the indoor and outdoor space at Stone Tower, so it was a perfect choice for a March wedding since we didn't know if the weather would cooperate for an outdoor ceremony. The view at Stone Tower is incredible, and we loved that you can still enjoy the view from the ballroom if the ceremony has to be indoors. 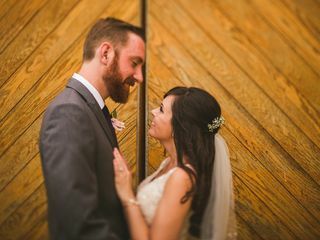 In the end, we had our ceremony in the ballroom and flipped the space for our reception, and we received so many compliments from guests on the beautiful views and the rustic but classy ambiance of the building. Stone Tower is so beautiful that you barely need many decorations to make the space look incredible. We also received many compliments from our guests about the wine! Many of our guests were from out of state, and they were all surprised to see that Virginia has such beautiful scenery and amazing wine. Our guests told us that they especially loved the Petit Verdot and the Sauvignon Blanc. Stone Tower offers a really neat option to have a wine tasting station at the cocktail hour, which is a great idea for guests interested in learning more about the wine. The staff at Stone Tower is wonderful to work with. 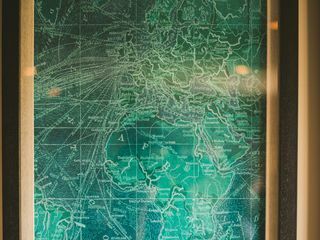 We communicated often with Lauren throughout the process, and we were constantly impressed by how quickly she responded to all of our questions and how knowledgeable and helpful she was. 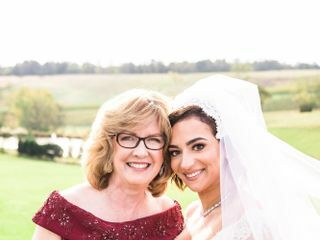 She was extremely organized and very helpful both in the planning and on the day of our wedding. Casey was also a huge help with taking us around on the golf cart for photos on a very chilly March day (I appreciated her sharing her scarf with me!). The new bridal suite (Farmhouse) is amazing as well! 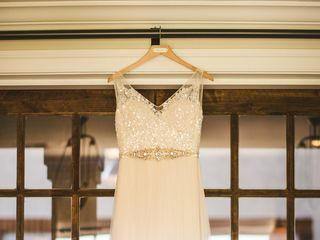 I had a large bridal party, so it was wonderful to have so much space for all of the girls to get ready. 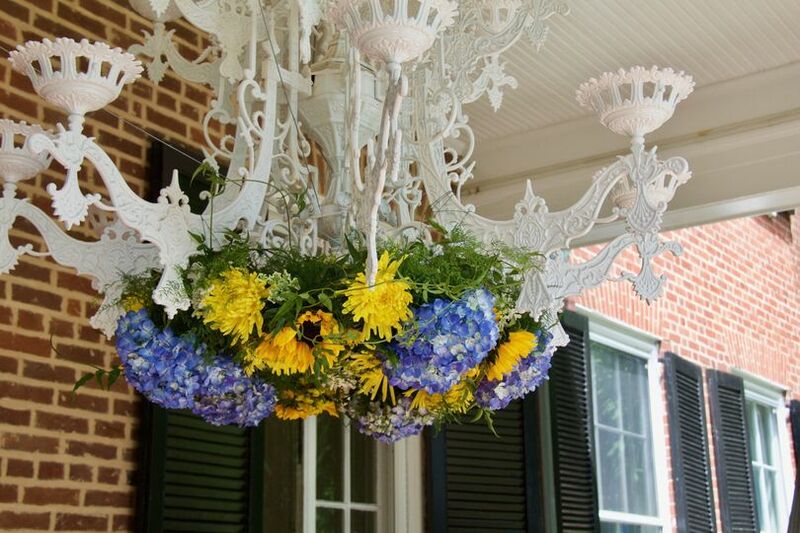 It is beautifully decorated as well, so the getting ready photos look wonderful. We were also glad to have the option to stay at the Cottage after the wedding (and the groomsmen got ready there as well). It was nice to not have to travel far at the end of a long day! We are so pleased with everything about Stone Tower and so glad we selected it for our wedding. Our families and friends have commented that it was the most beautiful wedding venue they have seen! We can't imagine having had our wedding anywhere else! Stone Tower Winery is a beautiful place. It&apos;s updated with rustic themes. The staff is very friendly and easy to work with. Great venue - beautiful views, several ceremony options. Venue Coordinator Lauren is a pleasure to work with!